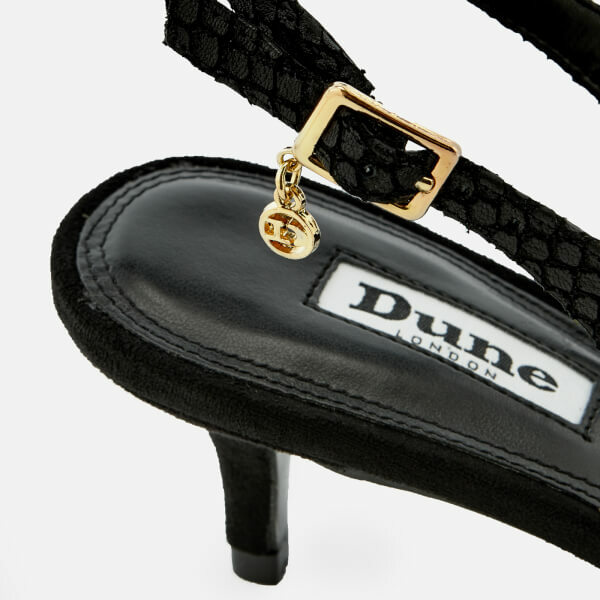 The ‘Cinda’ kitten heels from Dune are crafted with smooth black suede and detailed with a faux snakeskin trim. 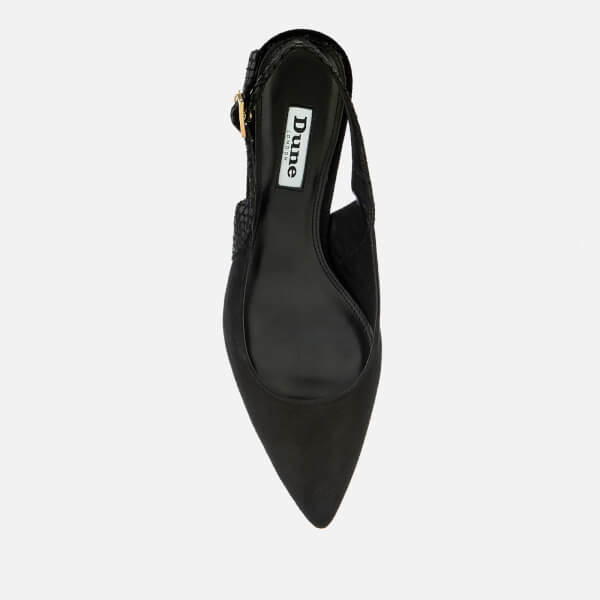 The shoes feature a pointed toe and a sling back design with a slim buckled strap and hanging logo charm in gold. Set upon a low heel, the style is completed with a metal stud to the underside.